Coming away from Bill McKibben’s lecture on Wednesday, I was struck by the gravity of the current global climate change problem. Clearly, we have to do something to address this crisis, or we’ll cause irrevocable environmental harm to our world. When we talk about responses to climate change, I think it’s easy to forget that – coming from relatively economically privileged communities – we can more easily make environmental changes in our lives than many around us. If we factored environmental costs of our lifestyles into our daily lives (as a cap on carbon emissions would force us to do), our cost of living would rise dramatically and many would lose their jobs. For many people already struggling during the current economic recession, the extra cost may be too much to bear. While I like to point out how unsustainable big-box stores like Wal-Mart are, my uncle who lives near Bentonville, Arkansas likes to needle me, noting that many low income families survive because of the cheap prices at Wal-Mart. Likewise, while we advocate buying food at the local farmers market, many get by because they’re able to buy less expensive food at Kroger. Moving away from unsustainable economies would put many people out of work. Right now we’re seeing the effects of double-digit unemployment in Elkhart County as RV companies shut down. What would happen if we permanently shut down this unsustainable industry? When I worked with the S.W.A.P. program in West Virginia during the summer of 2007, I encountered many people who relied on the coal industry. They knew about the environmental costs. One man named Casey talked about how coal was killing him (black lung disease) and killing the environment (polluted water ways/mountain top removal). I’m pretty sure he wouldn’t argue about the realities of climate change. Still, Casey wanted coal companies to remain in McDowell County because it was his only source of income. What happens to people like Casey when we put a cap on carbon emissions? I don’t say any of this to suggest that we don’t need to change. Clearly we do. But I want to make sure that we talk about change with empathy. Ultimately, we’re in the economic position to make sacrifices because we’ve benefited from unsustainable growth. So while it is incredibly important that we mobilize to limit carbon emissions, we should spend equal time talking about the wealth distribution necessary to make change palatable for those who are less economically secure than we are. 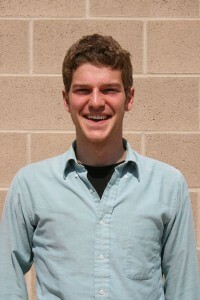 Matt Harms is a senior history major from Ephrata, Pa.